163. Absolutely stunning! 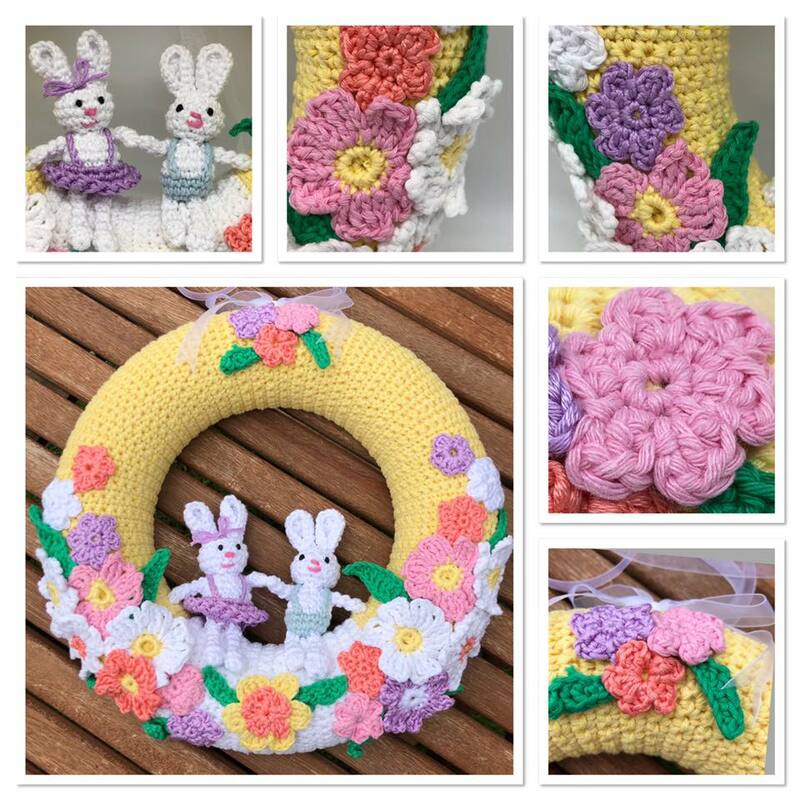 This beautiful Easter wreath is amazing. So beautifully crocheted. Love the two Easter bunnies! Gorgeous flowers. Hanging ribbon. The wreath measures 20cm across. Love it! Spring Auction. Number 163. beautiful Easter wreath! item name : Spring Auction. Number 163. beautiful Easter wreath!